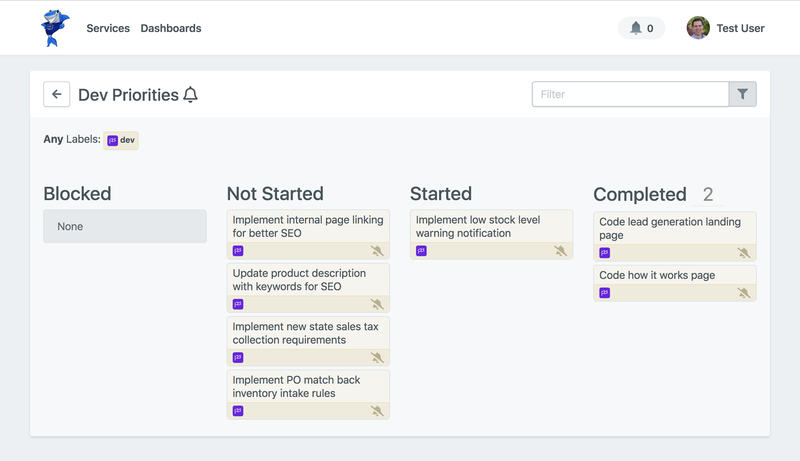 Automatically update stakeholders on things they care about, without the noise of things they don't. Your stakeholders want updates on their pet projects, but they don't want agile tools or process. Mixed with the status of ALL projects, theirs gets lost. 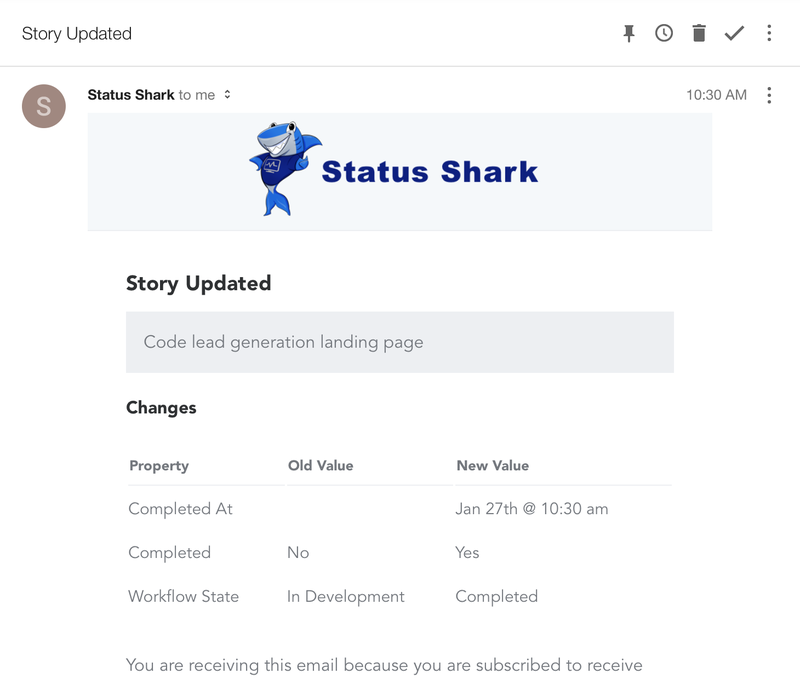 Through integration with your Project Management tool, Status Shark automatically updates stakeholders on changes with no additional work. Connect to your project management tools and invite other users in just minutes. Create Dashboards that follow a combination of Any or All of the specified labels. Dashboards update with no refresh required. Perfect for displaying on a dedicated TV or monitor. Blocked, Not Started, Started, and Completed. No complicated workflow states to confuse stakeholders. Some stakeholders won't want to check a Dashboard. That's ok, update through email, a tool they are no doubt accustomed to. Dashboards follow one or more labels from your Projet Management tool. Items are displayed in simple columns to indicate blocked, not started, started and completed. If a Dashboard has several items, use the filter feature to quickly narrow the field to find what you're looking for. Subscribe to Dashboard items of particular interest. 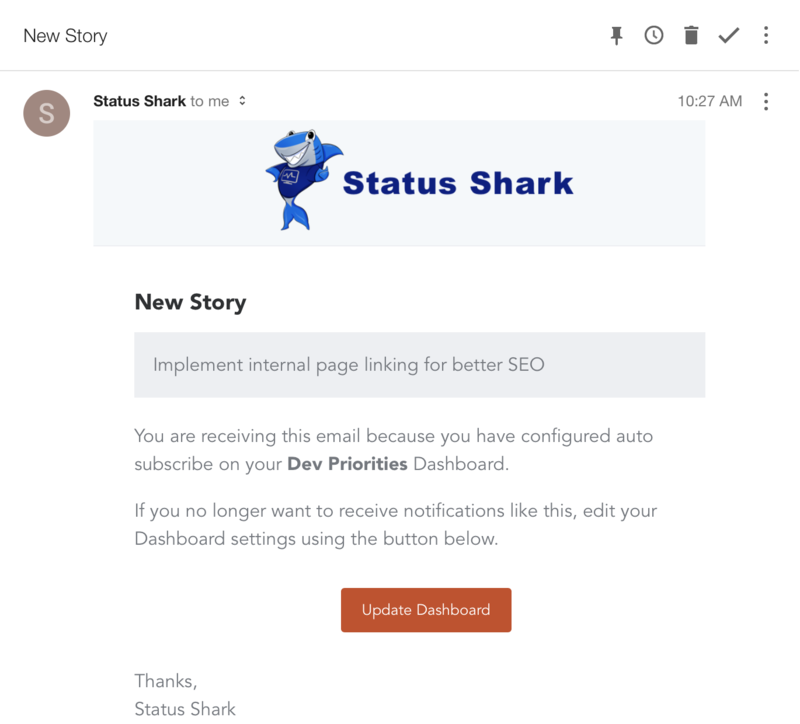 This will trigger an email notification when there are relevant updates to be shared. A Service is a tool that you use for Project Management. You'll need API credentials for each Service you integrate. 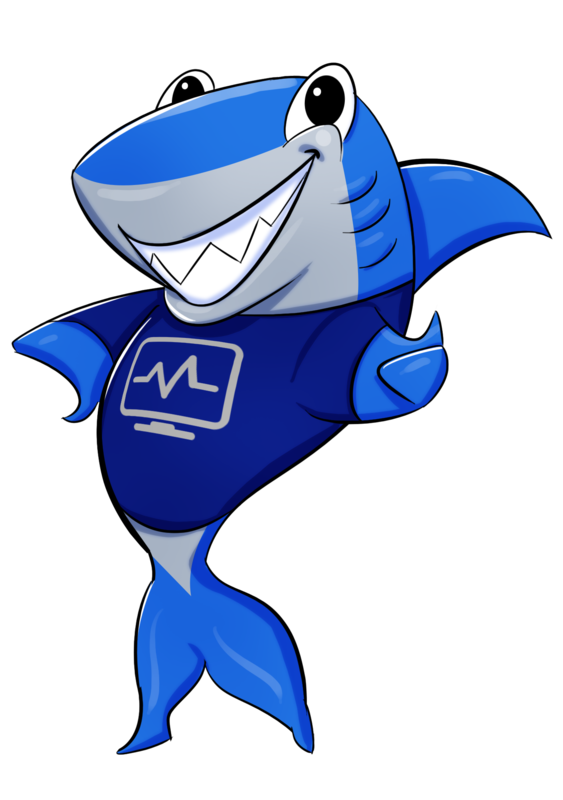 If you have additional questions about Status Shark please feel free to drop us a message. We're happy to chat!